Mini tractor-trailer Impact Pile Driver is widely used for new construction, or Hydraulic Pile Driver for highway guardrail repairing, Automatic Pile Driver Machine operators need to have the ability and physical coordination to operate complex machinery. These operators must be good communicators, because taking and giving direction is a major part of the job. Many surprises can occur on a construction site, so critical thinking skills and quick thinking are necessary for Pile Driver operators. Looking for ideal Guardrail Pile Driver with Hydraulic Hammer Manufacturer & supplier ? We have a wide selection at great prices to help you get creative. All the Pile Driver for Highway Guardrail Repairing are quality guaranteed. 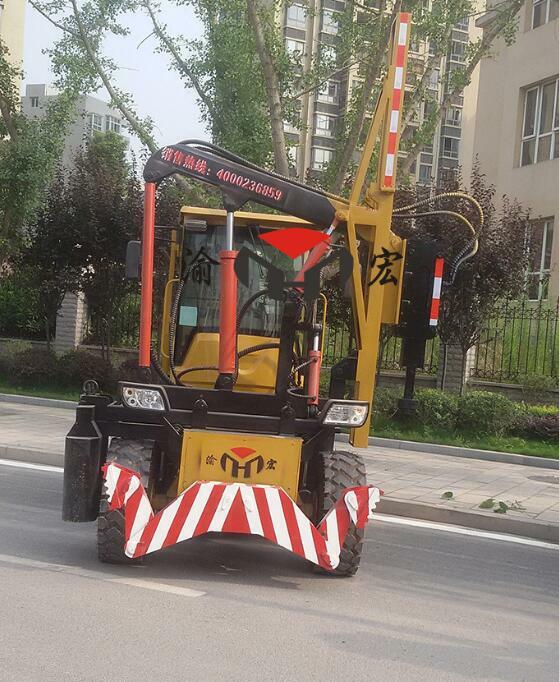 We are China Origin Factory of Traffic Crash Barriers Installation Pile Driver. If you have any question, please feel free to contact us.